It's officially spring today. To be honest it has felt like spring for the last month, dare I say last two months, here in Los Angeles. My wardrobe reflects this now "official" change in the seasons as I have sported a lot of flowers over the last few days. Both floral pieces featured in this post are from last year's J. Crew spring collection. I have to say, I was way more excited about J. Crew's spring releases and prints (such as these Warhol-esque flowers) from last year than I am about the ones from this year. Yesterday J. Crew rolled out their new spring arrivals and with the exception of some accessories and collection pieces I was largely underwhelmed. Maybe my lack of enthusiasm is due to the fact that I have acquired too many pieces featuring similar signature J. Crew silhouettes (how many button downs or pencil skirts can one person own?) or maybe it's just the aesthetics of what they have been designing lately, but I am not really craving anything. Well, I guess that's good news for my wallet! Even my accessories echo the floral theme. Note the J. Crew Wildflower bracelet adorning my wrist in both ensembles. The flowers are definitely in bloom! Here are my complete floral looks. 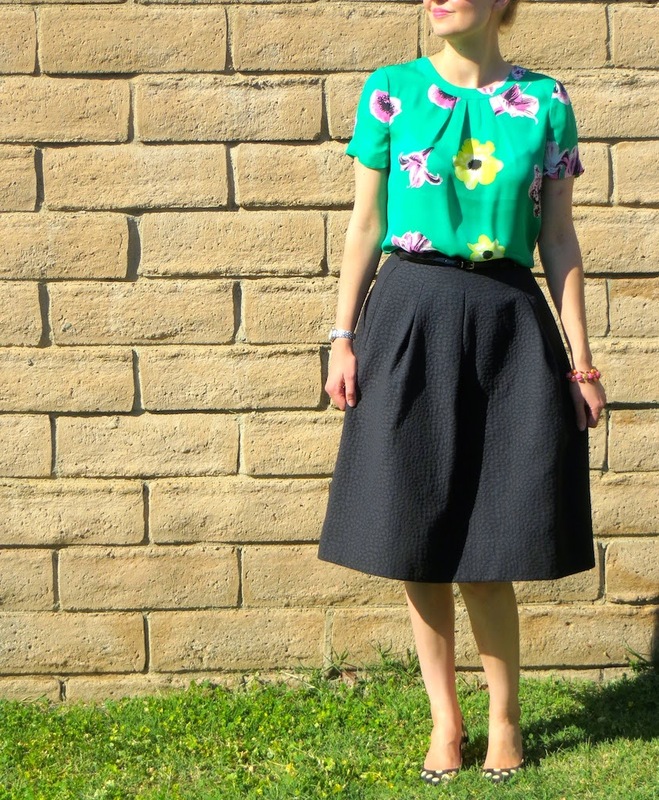 As you can see I am really liking the fuller, midi length skirt for spring. It's so retro that it's hard to resist its vintage charm. What trends are you looking forward to for spring? Love that punk floral top! I bought the dress last year! Thanks Jacqueline! The dress is so gorgeous in the floral punk pattern! I wore my floral tippi yesterday over a black and white gingham shirt and black wool skimmer pants. I have that houndstooth skirt too but I've never thought of wearing them together. I also have the punk floral top and I'm excited to wear it. Bring on spring! 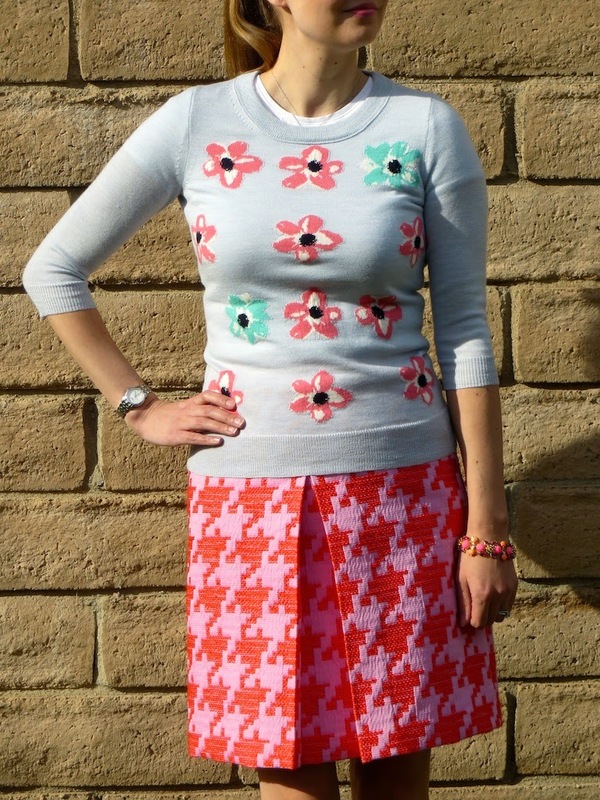 I love both the floral tippi and the houndstooth skirt because there are so many ways to wear them. Thanks for your styling ideas with the tippi!